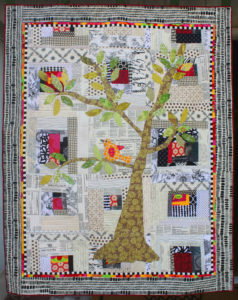 Create a beautiful wall hanging or baby quilt. 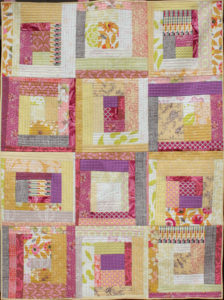 This is a modern take on a Log cabin quilt with a “quilt as you go” element. 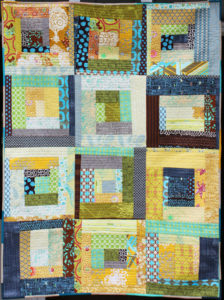 Learn about tools that make your blocks perfectly square even if you can’t sew a straight line. This approach to making quilt block patterns can save you time, and is a great stash buster. 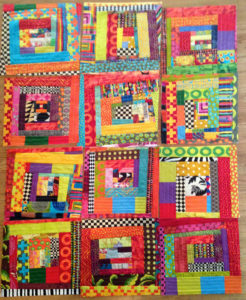 Want a fast, fun, easy modern quilt? 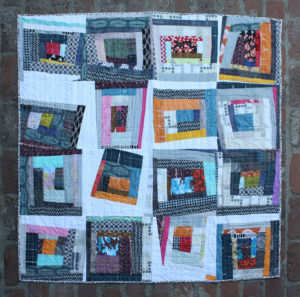 A quilt that you quilt-as-you-go, and you can use up your stash? Finish in a week and you won’t even need a long-armer? This is a workshop for you! 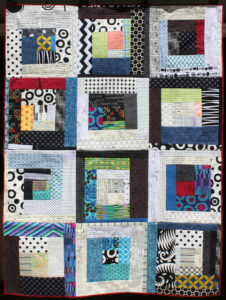 Very modern too (one-of-a-kind), using an old log cabin block for inspiration, you don’t even need to sew a straight line – BUT you will have to cut/trim your block straight! 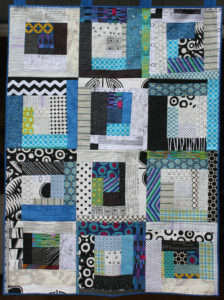 Missy Bleu makes a beautiful wall hanging, the perfect baby quilt or a lap blanket. Depending on finish size of quilt, pre-cut 9 or 12 15" square pieces of batting. Any type of batting will work.. cotton, poly, bamboo or wool.